Gardein focuses on creating imitations that look, taste, and feel like the real thing– and they’ve done well! For example, their beefless ground has zero meat (and 87% less fat), but you almost wouldn’t be able to tell much difference. 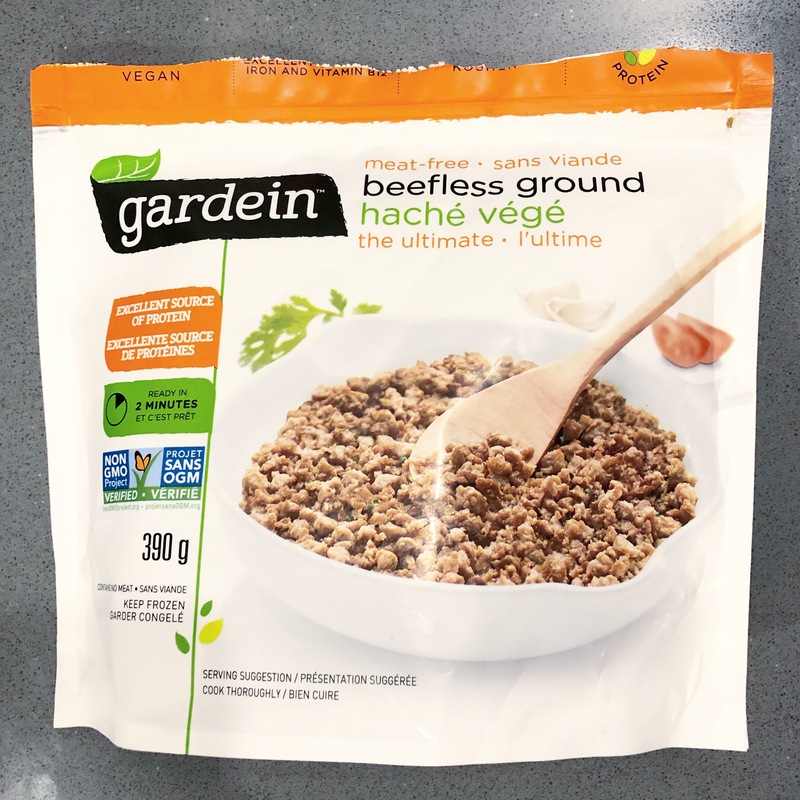 I really wanted to try this beefless ground on its own first to see what it was really like. From looking at it, I was in disbelief that this was meatless at all. The frozen pieces already looked cooked and just needed to be reheated, but even as I heated the food in a pan, it took on even more likeness to the food it was representing. Biting into it, I became more curious than skeptical. As you bite, you’ll find that this ground shares the same elasticity that ground beef would have. It breaks apart in the same way and holds on to flavour as it ground beef would. With that in mind, the flavours embedded in this food is subtle. My assumption, was that it would have come more seasoned with flavour, but you’ll find only hints of onion, garlic, salt, and some spices. My best suggestion would be to cook up a sample size first, try it out for flavour, then season your serving size to taste. That aside, the flavour was light, but didn’t have much of the meaty flavour you can expect. To some this may be a disappointment, to others it will come as a relief. 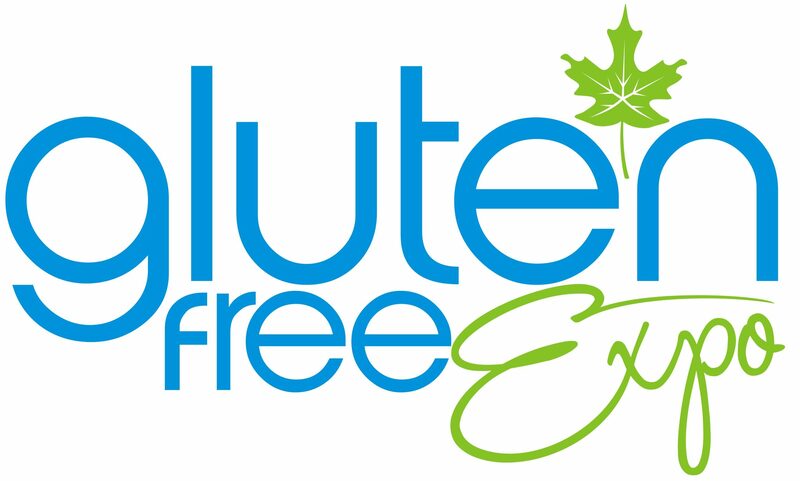 This will depend on your preference to how you want your meatless products prepared. The entire package seems non-threatening in terms of quantity, but don’t let that fool you. 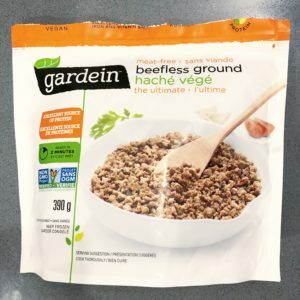 There is actually plenty of meatless ground in a single package. There’s enough for platter of taco dip to serve eight people. 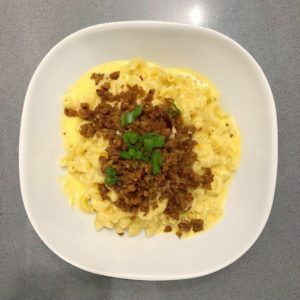 This entry was posted in Information and tagged dairy free, gluten free, groundless meat, imitation meat, vegan. Bookmark the permalink.